Despite the great wood fires we enjoyed at Adrian’s holiday home and the fact that we were all fired up, it looked as if our work bee title would be a misnomer. 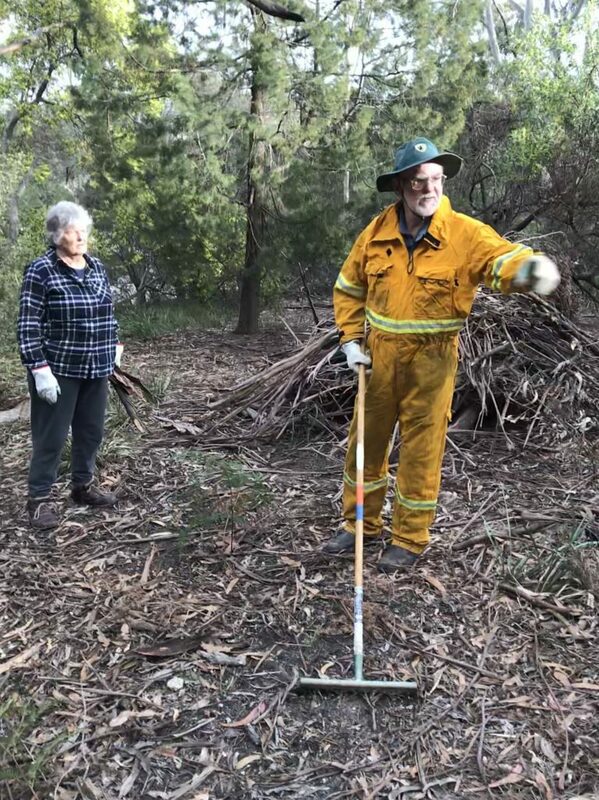 But no, on the last day we were able to carefully burn two of the large heaps of bush litter that we had raked up from around the Visitors Centre. So, clad in fire suits and with PWS staff and a vehicle borne water hose in close attendance we were able to reduce the fuel load in that area somewhat. The larger pieces were taken in the truck and placed to stop ‘unofficial’ tracks from forming to the beach from the main campsites. But that was not the top priority job. 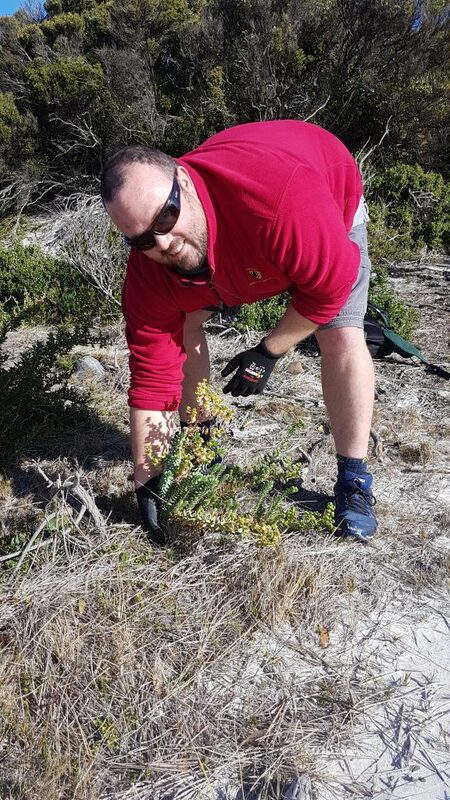 Our main task was to purge the sea spurge scourge from all the beaches south from 4 Mile creek to Bicheno. This was achieved with 3 days of slogging and searching, often in severe winds. A reduction in numbers found means we have been successful so far. We were astounded to find none at the mouth of the Douglas River, a previous ‘hot spot’. This has been an annual event for 15 years now with these pleasing results. It will still need checking each year before flowering at this time and to keep the dreaded Sea Spurge under some control. 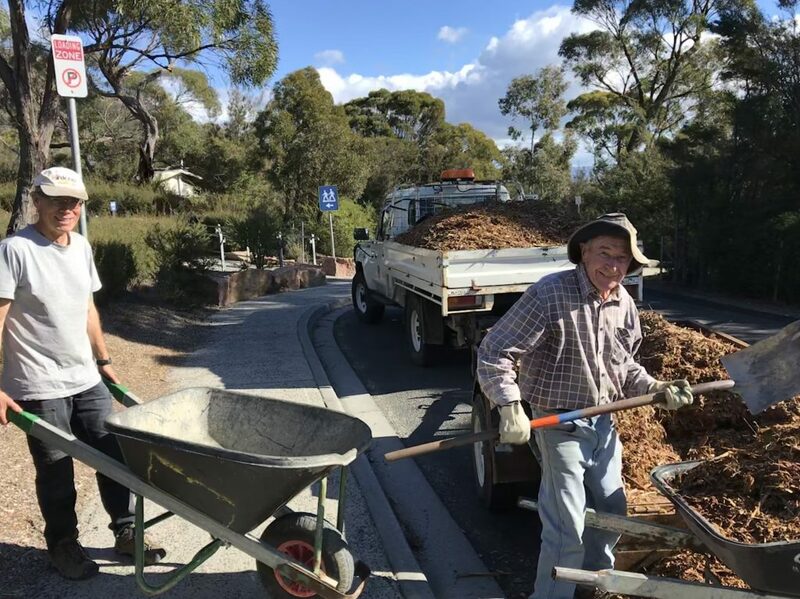 Other jobs completed were laying mulch at the Wineglass Bay carpark, removing timber remaining from the old track to the Wineglass Bay lookout and clearing vegetation from around the PWS workshop. 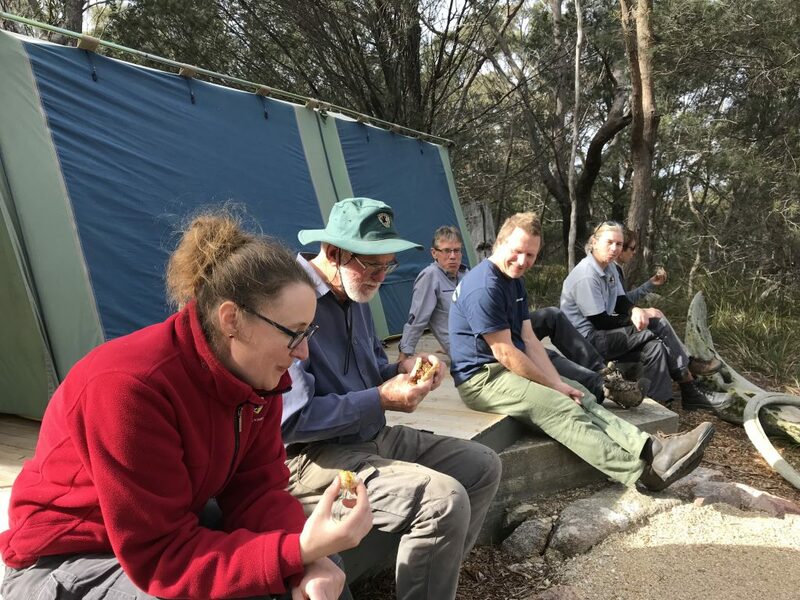 The week started with us all tucking into a superb cake cooked by our fabulous ranger/facilitator Fiona, and ended with a barbie provided by our PWS colleagues (how good is that?) before all 7 of us made our weary way home. 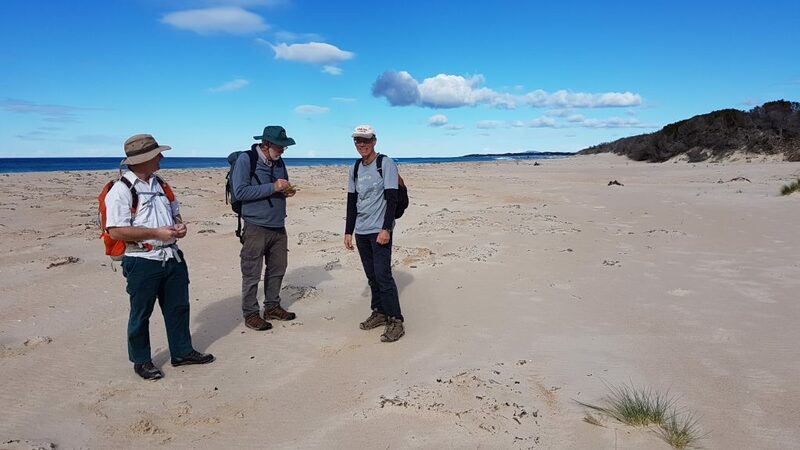 Our next working bee is in October when you too could have an opportunity to work with might and main to assist PWS care for this glorious National Park.